Please note that our breaks are Monday to Friday or Friday to Monday. Please contact us for 7 night break prices. Our caravan is a beautiful, spacious and modern 2017 model, giving you benefits including double glazed windows and central heating throughout. It is extremely well positioned on site with its own private car parking space. 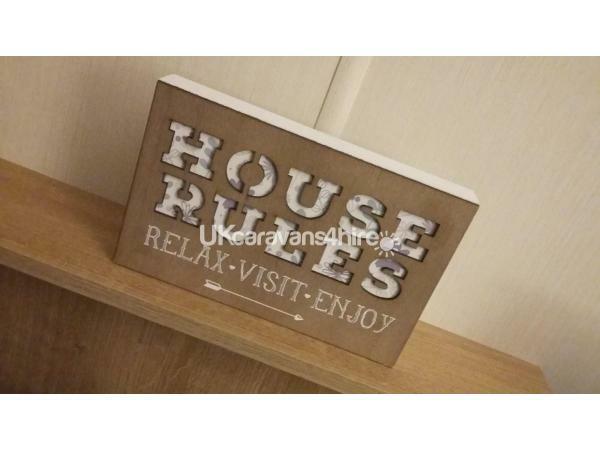 We are close enough for you to enjoy the fantastic facilities which the site offers but also in a relaxing spot giving you some much needed time out. The sun shines on the caravan all day, giving you plenty of time to use the patio area and garden which is ideal for both adults and children alike. It is situated on a quiet private plot for those seeking some peace and quiet away from the hustle and bustle of daily life. Yet, only less than a minute walk from the main entertainment complex for those wishing to use the Haven facilities. The caravan has a fully equipped kitchen, including kettle, toaster, gas oven, built in microwave and fridge freezer. Along with all utensils, crockery, cookware and glassware. All you need for a comfortable stay. We also provide tea, coffee and sugar, along with washing up essentials and tea towels for your use. 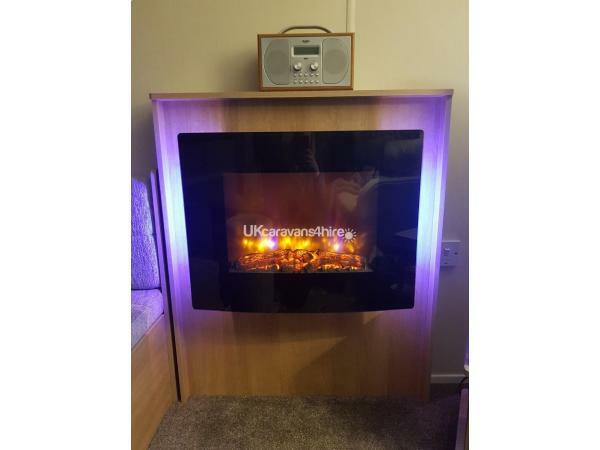 In the lounge, you will find a 32" TV as well as a DAB digital radio. 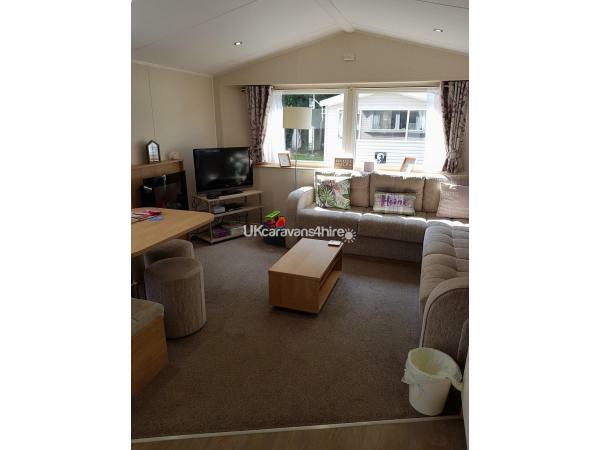 Extremely comfortable built in sofa's for you to relax on after a busy day exploring the site aswell as a separate dining area. If staying with children, then they will enjoy the range of DVD's available aswell as a selection of toys. All bedrooms benefit from USB ports. The site is ideally situated between two supermarkets, Asda one way and Morrisons the other, both of which are approximately 5 minutes drive away for all of those essentials. In addition, Freeport shopping village is also close by, again, within a 5 minutes drive. Fleetwood, Cleveleys and Blackpool are short drives away where you will find beaches, and numerous attractions and shopping facilities. There is also a bus stop directly outside the site aswell as tram facilities a short drive away. (Some facilities may require membership). Pub/club, amusement arcade, indoor pool, laundrette, crazy golf, mini supermarket, Papa Johns takeaway, restaurant, children's club, go kart hire, trampolines, outdoor splash zone aswell as other Haven facilities. Don't forget that entertainment passes are not included in the cost of your break, however, you can purchase these upon your arrival. Farmer Parr's directly opposite the site. 2 miles from Fleetwood beach and Victorian promenade. Few miles away are the bright lights of Blackpool and on the edge of beautiful countryside. Plus, don't forget that from the end of August until November, the world famous Blackpool Illuminations are on.........our caravan is the perfect base for you to see these. Thank you for your lovely review. We hope to be able to welcome you all back again for your 3rd visit sometime in the near future. Sharon. We have recently returned from a wonderful 4 night stay at this beautiful caravan at Cala Gran. Very well equipped with everything we could need as a young family, including games, toys and children’s cutlery. Felt very much like a home from home and the central heating and comfy quilts were very welcome in a chilly October. When we arrived we found some treats for the children, along with a map of the park and takeaway menus which came in handy. It was our first time at Cala Gran which is a wonderful little site with a Showbar, Swimmig Pool, Amusements, Restaurant and lovely parks for the children. 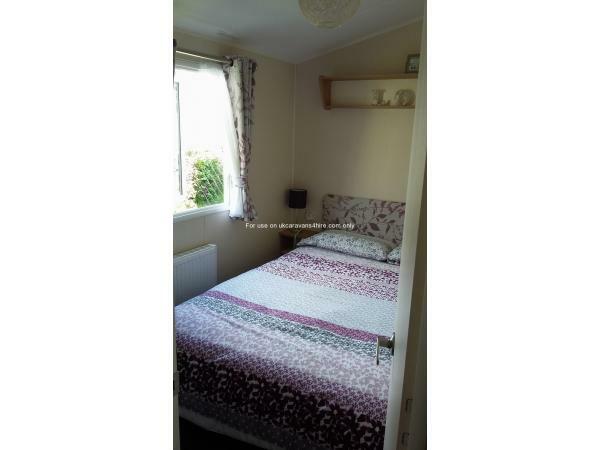 The van is very well situated only a short walk from the complex. Great communication from the owners and we will be returning next year! Thank you Sharon and Michael! Thank you so much, we look forward to welcoming you back on your break next year. Well what can we say 2nd time staying in this beautiful caravan and we already cant wait for a 3rd. Our children had a fantastic time.. situated in a perfect spot close to all the amenities but far enough away so not to be disturbed. Home from home.. none us us wanted to leave! Children loved the toys and games.. they even enjoy some ice creams left in the freezer on arrival what a welcome ??!! Our little boy was toilet training and they even left a toilet seat in which helped us ????. Thanks for a lovely weekend Sharon and mick we can’t wait to book your lovely caravan again !! We are just back from staying at this caravan and had the most amazing week, staying with 4 children aged 1-12 the caravan was a perfect size and well equipped for the kids, booking was easy and communication was great, the little touches left in the caravan made it feel so homely, the outside area was great and the kids loved playing out there just as much as the main complex, I will definitely return to stay here in the future. We have had a lovely time staying at this caravan. Booking was easy. The facilities in the caravan catered to our family perfectly. The caravan had lots of kids plastic plates/bowls/cutlery which I didn't think they would have and so took our own for our little boy to eat in. I think it was brilliant that they had this and next time will not need to take our own. There was kids dvds already there and lots of toys for our little boy to play with. The location of the caravan itself is perfect it was literally a minute away from all of the main areas Cala gran offer like the swimming area, restaurant entertainment area. It was even easy to get a takeaway delivered as the caravan was easy to find. 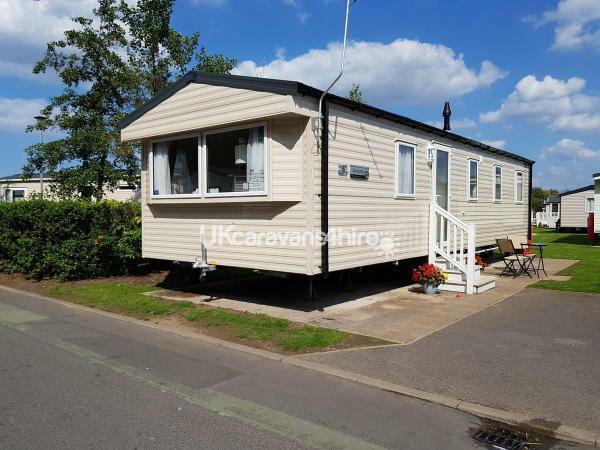 Overall, I would definitely recommend staying here again in this specific caravan even, as it is spacious, beautiful and the outside grass area is very big. Thank You, we can't wait to return soon. We stayed for a long weekend with our Grandson and it was fantastic, the caravan was immaculate, it was fully kitted out as you would expect it to be (even coffee, sugar, etc) and located close to the central site facilities. It had children's DVD's and toys which meant even in the caravan he had everything to entertain him and he loved having a bedroom to himself. I would thoroughly recommend and would definitely go back for future breaks. First time visit to Haven Cala Gran park and we had a great time. Caravan very clean and very modern, the nicest caravan we have ever stayed in, even had toys and a bike which my little boy was thrilled with. My children loved the Arcades, play area and swimming and the entertainment was brilliant. Will definitely return for another break, excellent family holiday.